For example, pricing for service or pool table repair will be set for an 8-foot table but if when our technicians arrive to find that your pool tables it’s actually a 9-foot it could really complicate the job and in most cases, this will change the price of a move job. For pool table refelting services, the industry norm is supplied, pre-cut billiard felt. We arrive with pre-cut material to do the service. 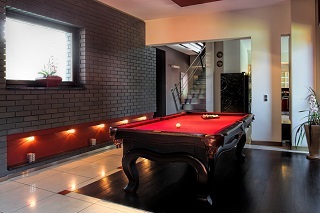 If you schedule for an 8-foot billiard table but when arriving we find a 9-foot billiard table instead, we may not even have the correct cloth size to finish your job, which could also incur additional trip charges. How can I know my pool table room sizes? This is especially important when calling for pricing, refelting or pool table moving services because this will change the pricing on both services. Call our professionals if you’re ready to move and install your pool table. Our professional pool table movers are waiting for your call.